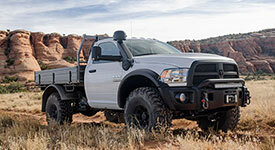 AEV’s Hydraulic Assist Steering Hardware Kit includes all the necessary hydraulic lines, brackets and hardware necessary to install a PSC Hydraulic Steering System on your 2014+ Ram 2500/3500. This is the same kit we use on all of our Prospector XL trucks. AEV’s Hydraulic Assist Steering Hardware Kit contains components designed by AEV specifically to be used with our 3″ DualSport Suspension System. 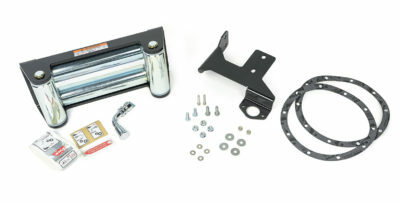 AEV cannot guarantee that this kit will work with other aftermarket suspension systems. Please note: This kit does not include the required PSC Steering Gear (#SG856R) and PSC Hydraulic Ram (#SC2200K) for a complete installation. These components must be purchased directly from PSC. Visit www.pscmotorsports.com for more info.